Roll arm sofa in 100% cotton slipcover features comfortable feather down-wrapped cushions atop stable 8-way hand-tied coils. 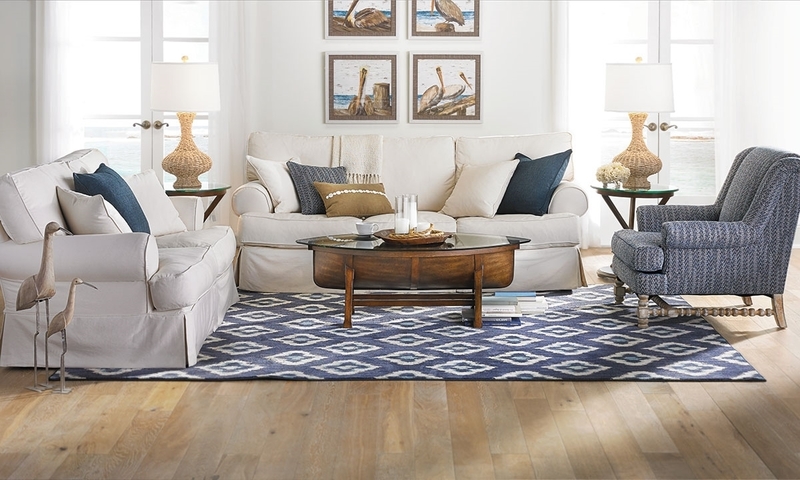 The timeless Lawson-style sofa gets a laid-back, casual update with a 100% cotton slipcover in the Two Lanes collection. Removable and washable with self-welting on the roll arms and cushions for just a touch of detail, the neutral slipcover supplies this sofa with a versatile skirted look. Two soft toss pillows and seating wrapped in goose down provide luxurious comfort, while 8-way hand-tied coils and a kiln-dried hardwood frame ensure heirloom-quality durability. Special order a slipcover in worry-free LiveSmart stain-resistant fabric, or choose from an array of other colors and upholsteries. Matching loveseat, arm chair and ottoman also available. See store for details.